Trustworthy. Have performed many transactions. very knowledgeable, helpful & well-connected. A beacon of integrity in crypto. I vouch for collincrypto. He was my trust agent and everything went fine! I’ve completed many successful trades with and escrows through Collin. Responsive and trustworthy. Professional trust agent service. Communication and everything are very smooth. Great agent. Thanks very much Collin ! 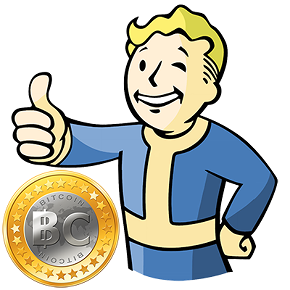 I know collincrypto through various crypto project communities, bitcointalk, and now through bitrated. He has escrowed for me twice and done a great job on both occasions. Definitely a trustworthy agent. Collin is one of the few guys in crypto that I trust, very trustworthy, helpful and friendly. Great Escrow holder. Multiple perfect transactions with this guy. No hesitation in dealing with him again. Nice guy, always helpful, very honest in my experience. I am vouching for Collin, he is always helpful and friendly. Highly recommended! Consider this a strong “vouch” for Collincrypto. Help and not out to scam anyone. Definitely someone you can trust. Make sure to keep an eye out for any projects coming from Collin. I will vouch for Collin LaHay.